Should Women Shave Their Face? To kick things off, no, I don't stand in front of the mirror with some Barbasol and a Mach3 and get to work. (I know some of you are envisioning a pile of shaving cream on my face.) In fact, no shaving cream is used at all. Let me explain . . . I grew up with blond lip hair. (I guess you could call it a mustache, but I try to avoid it at all costs.) I was horrified about it. As a teen, I didn't deal with terrible acne (that came later in life — yay hormones!) but instead was bestowed with a patch of blond hair on my upper lip. Sure, all gals have a little bit of fuzz on their upper lips. No big deal. But it wasn't peach fuzz — it was very noticeable. And I was ready to do whatever it took to get rid of my furry friend staring me in the face every morning. I tried every removal process in the book, starting with Nair. I ended up burning my skin, which put my upper lip even more in the spotlight. After banning the pink cream, I tried threading and waxing, only to have my skin break out in pustules. This deterred me from wanting to remove facial hair, so I went ahead and opted to bleach the sucker. Considering it was blond, that didn't help. At 18, I opted for laser hair removal. It worked okay, but then I went off to college and didn't finish my sessions, so the hair grew back. But one day in 2011, at the ripe age of 23, I'm perusing YouTube and see a video from Bachelor in Paradise's Michelle Money. She's a cosmetologist and posted a video about shaving her face. Have you seen this woman? She's stunning. 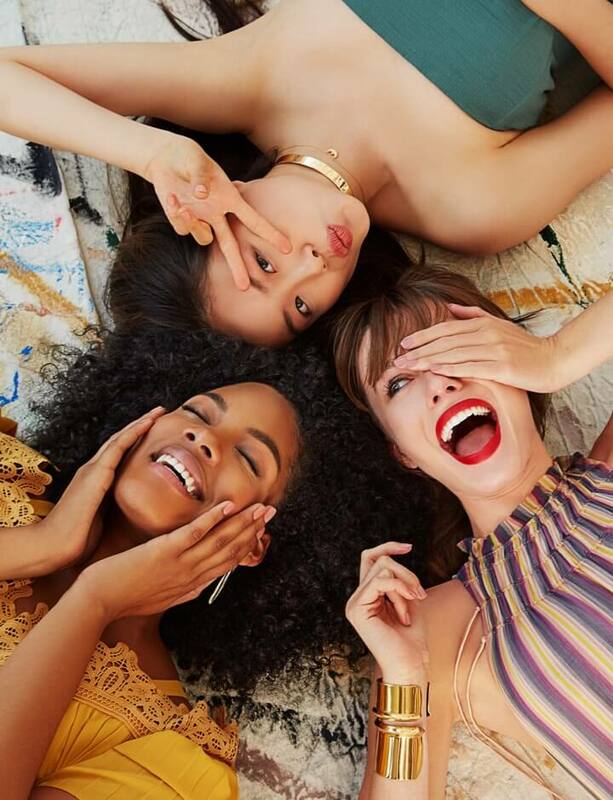 I can't imagine she deals with any type of beauty crisis, but she and her friends explained why shaving their faces was not only fun, but also necessary, and then they showed a tutorial. Seeing their fuzz scrape right off their faces led me into an online rabbit hole. Scouring the Internet, I found that Kate Somerville was a proponent of facial shaving. You mean to tell me that the queen of clear, youthful skin is down with shaving shenanigans? She told Style.com that Elizabeth Taylor's cosmetic dermatologist disclosed that Elizabeth shaved her face, as did Marilyn Monroe and Cleopatra. It makes your makeup go on smoother, gives you a glow, and because it's a razor, you're physically exfoliating your skin — great for antiaging! Why do you think men look so youthful as they age? They shave a majority of their lives! Here's the thing: Facial shaving for women isn't news. In fact, dermaplaning is the fancier option that spas offer to help take off a layer of dead skin. In addition to removing those baby hairs, it also helps products absorb into your skin better. It gives you a gorgeous glow and in turn, your fuzz is gone. Michelle suggested buying a razor called The Tinkle. 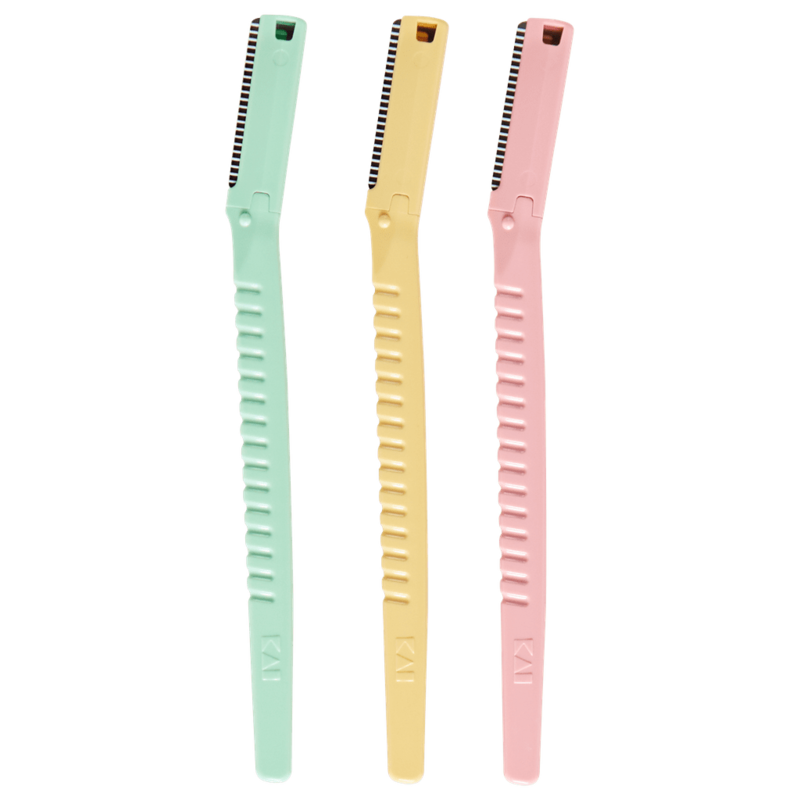 You have to order them online (and that name is rather embarrassing), so I ventured to Sally Beauty Supply, bought a pack of Touch N Brow razors, and went for it. I shaved my jawline, upper lip, under my chin, and my forehead. I even cleaned up the hair by my ears. And you know what? IT WAS AWESOME. I couldn't stop touching my face. (I wouldn't suggest touching your face all the time, but in this case, it was unavoidable.) I get so many compliments on my skin that when I reveal this secret, people go from pure shock to running to the store and buying their own razors. 2. But doesn't it grow back thicker and darker? No. Come on now, we know this is a fallacy regarding our legs — same for your face. It doesn't grow back black or stubbly! It actually comes back blond and soft. The hair on my face was never black or stubbly, thus it will not grow back that way. 3. How often do you have to do this? I shave once or twice a week, and I don't mind — it's a part of my antiaging regimen now. 4. What products do I need? You need one tool: a razor. I use a single-edge, single-blade razor that has a slope to the head of the razor. 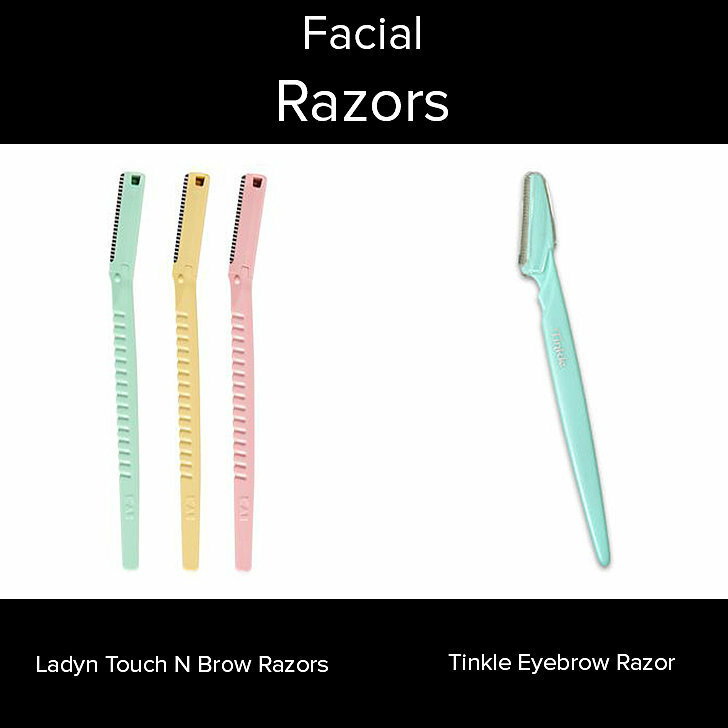 The Tinkle (such an unfortunate name) and the Touch N Brow ($5) are great options. If the razor is shaped straight up and down with no curve to the razor head, you risk cutting yourself. Also, some of the facial/eyebrow razors I've come across have sharp, blunt edges — so again, look for razors that are curved. Walgreens sells them as well. 5. What about a leg razor? Honey — no. Don't use your leg razor. Put down the Venus! I haven't tried it, and I can guarantee you won't want to dabble into it, either. 6. So . . . no other products? Do this on dry skin. No need to wet your skin or use lotion. 7. What's the technique here? Pull the skin taut, then start shaving downward on your skin in short strokes. You can't just drag the razor against your skin — it wouldn't do anything. Also, hold the razor at a 45-degree angle against the skin. Don't freak when it looks like you skinned a lamb. You have more hair on your face than you think! Moisturize afterwards. Shaving means taking a layer of dead skin off your face. It's exfoliating! Moisturize afterwards so your skin doesn't get too dry. I can't stress this enough: only do this if you're comfortable. It's like waxing or any other form of hair removal. You'll need to maintain it! If you're under the age of 18, talk to your parent before. These face razors aren't incredibly sharp, but you'll want to be safe. So, take it from me, Caroline Manzo, and Kate Somerville: facial shaving is the new(ish) chemical peel.